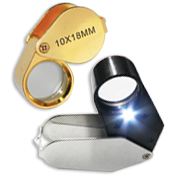 Discover the best-quality loupes, microscopes & magnifiers for all your jewelry pieces! You'll find professional pocket articles or items with a headband, perfect for diamonds, gold & more. Get the best prices thanks to our regular discounts!